Russian mobile operator Mobile TeleSystems (MTS) has announced the commercial launch of its LTE FDD network in Tambov and the Tambov region. Operator is currently rolling-out LTE networks throughout Russia and plans to over around 600 population centers of the Russian Federation by the end of 2014 . 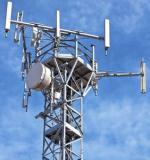 Communications service provider MTS has introduced LTE Wireless technology in Manitoba, Canada. According to company, customers on MTS’s 4G LTE Network have been enjoying even faster speeds since the end of August. Russia has awarded 4G frequencies to four telecom operators, Reuters reported today. The four operators are VimpelCom, Mobile TeleSystems (MTS), Rostelecom and MegaFon. Other bidders that participated in the spectrum auction, included TTK, Summa Telecom and Tele2 Russia.